File photo of Atal Bihari Vajpayee. 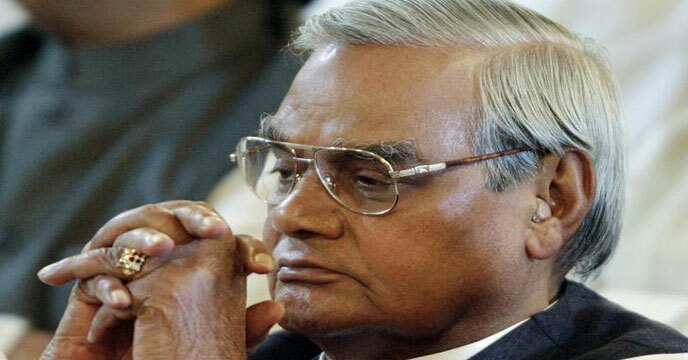 The urn containing the ashes of former Prime Minister Atal Bihari Vajpayee will arrive from New Delhi at Naharlagun Helipad on Thursday at about 3 pm for immersion at Parshuram Kund. The urn containing the ashes would be brought to the BJP State office 30 minutes later. BJP’s State Media Secretary Nalong Mize said a condolence prayer programme has been organised by the State BJP unit to pay homage to the departed leader. All the ministers, MLAs, senior leaders, office-bearers, party workers are expected to attend the condolence programme. After the BJP office programme, the urn would be taken to Dorjee Khandu Convention Centre where a condolence meeting will be held by the State Government for the public leaders and workers of all political parties and for the general public from 5 pm onward. On August 24, the urn would be taken to Parshuram Kund for immersion at the holy site. En route to Parshuram Kund, the helicopter will stop at Pasighat for refuelling from 9-10 am and during that time the urn would be displayed at the Pasighat Airport for party workers and general public to pay their last homage to the former PM. All the public leaders and workers of all the political parties and the general public have been invited to participate in the event, Mize said.